A poor credit score can affect people in many ways. It can make it difficult to get approved for a mortgage or other type of loan, and can lead to paying higher interest rates on those loans and on credit cards. It can also make it hard to get a cellphone contract or rent an apartment. By paying off a high credit card balance, borrowers can improve their credit score and, over time, start to see lower interest rates offered to them. Those with bad credit can pay $4,975 more in interest on their credit card debt than those with good credit, according to a report by Syracuse University. One option for paying off a massive credit card debt is to get a personal loan from a lender. Keep in mind, personal loans are often expensive, so users may want to limit them to emergencies. Personal loans come in two forms: secured and unsecured. A secured loan requires collateral that can be taken by the lender if you don’t repay the loan, such as a home or a car. An unsecured loan doesn’t require collateral, making it a higher risk for the lender and thus a higher interest rate for the borrower. Applying for a personal loan usually requires information such as your employment history, monthly bills, pay stubs, tax returns for the last few years, a list of unsecured debts like credit cards, and a list of assets and how you’re paying them off, among other things. 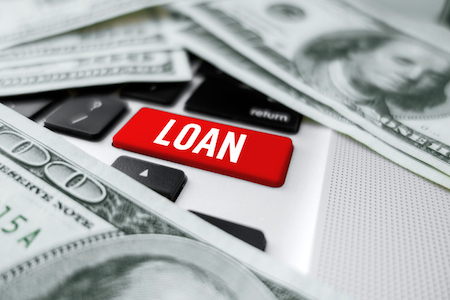 A lender will determine if you can afford payments for a personal loan. Having bad credit can make proving your repayment ability difficult, but this can be overcome by showing proof of payment history for other loans or assets. The same goes for showing you’ve paid your monthly bills on time. A steady job and living in the same home for a long time can also work in your favor. The repayment term for a personal loan varies between 1 – 5 years. Ask how much the monthly payment will be and how much interest you’ll be paying over the life of the loan. The lender will likely charge you fees, which can include origination, late, personal check and returned payment fees.